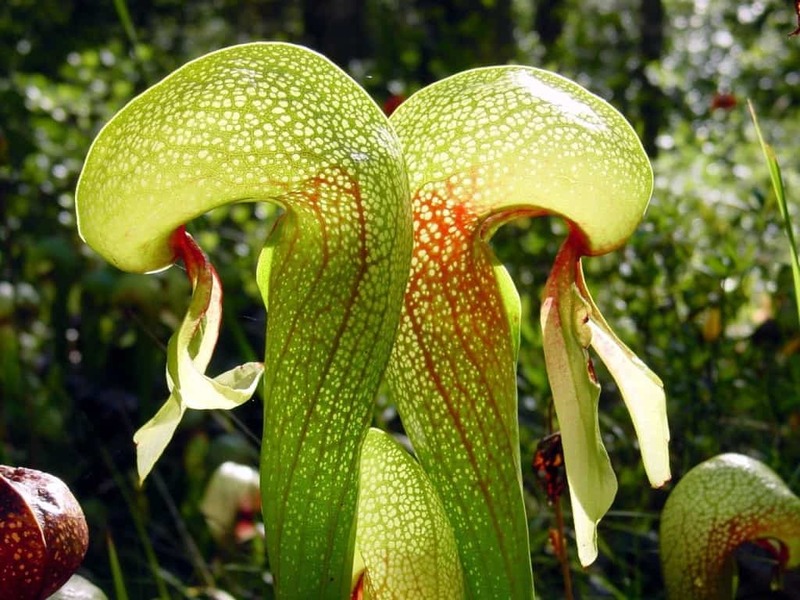 Everyone has heard of the Venus fly trap, which is a deadly insect killer and carnivorous plant. 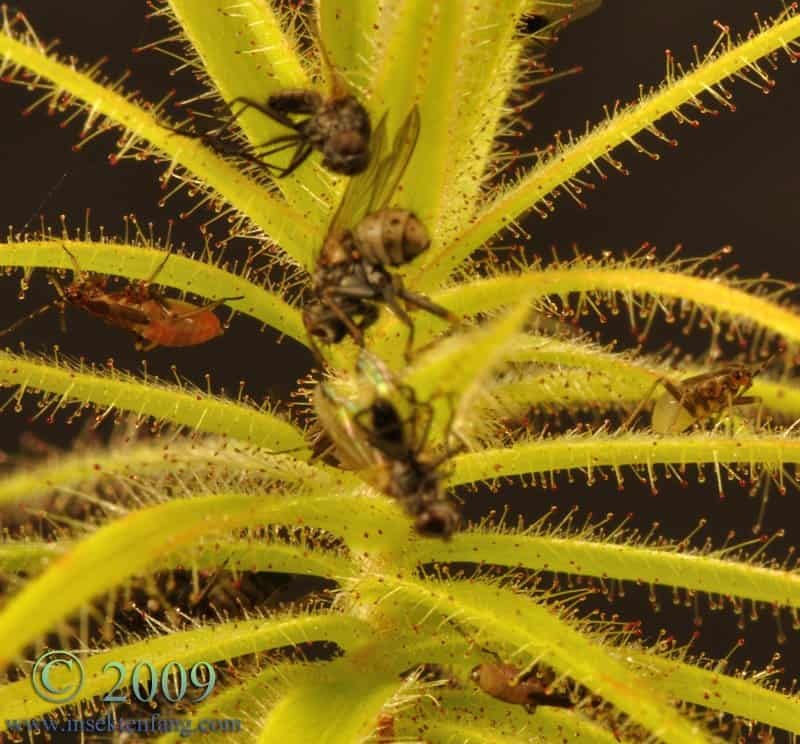 Common sundews and pitcher plants are also other types of known plants that feast on bugs, which are essentially a type of meat and protein, making them carnivores. However, this type of vegetation is actually pretty widespread, with numerous species that most people have overlooked or simply do not know even exist. 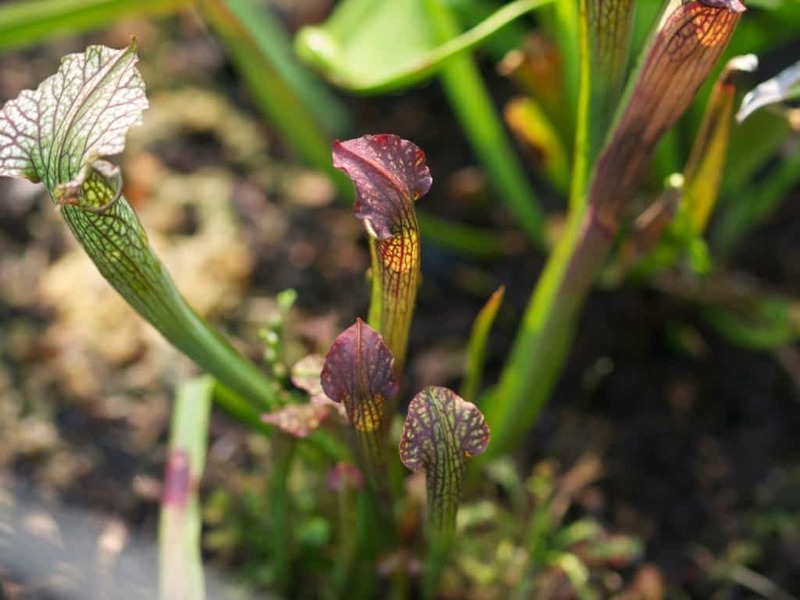 Here are ten totally obscure plants that are carnivorous. 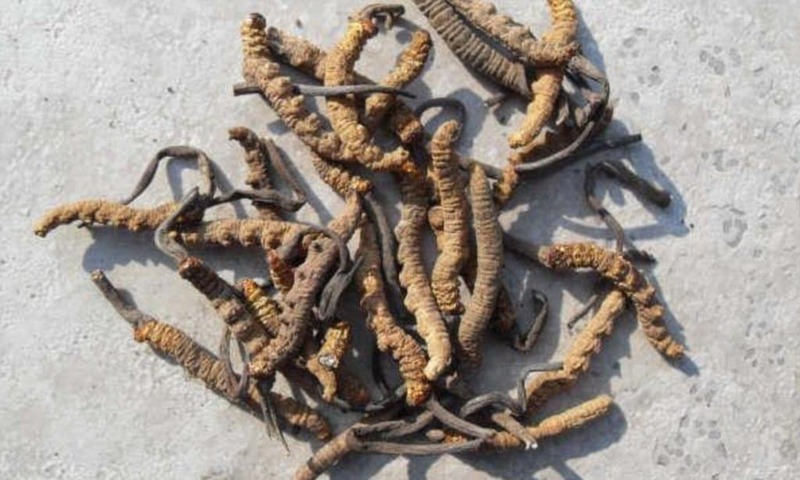 Some eat flesh, and some eat even weirder foods. 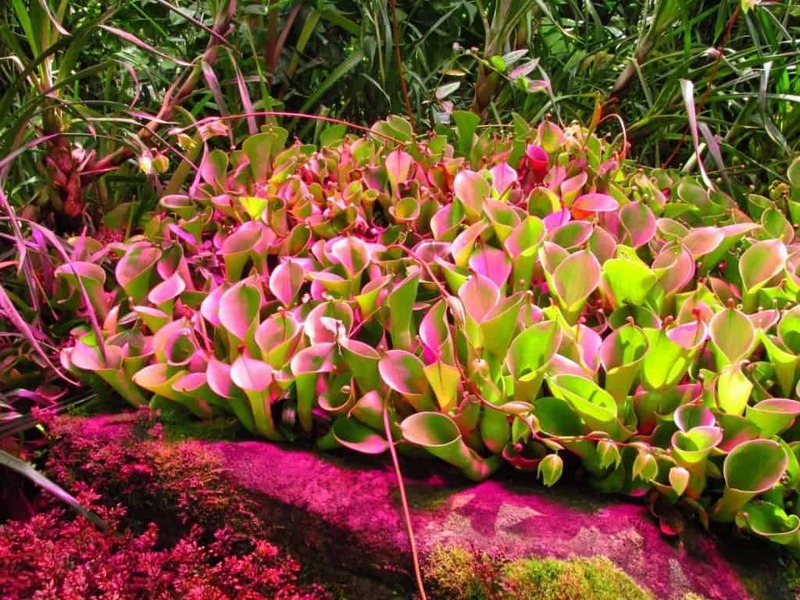 Sun Pitchers, otherwise known as Heliamphora, are not related to other pitcher plants, though they do appear similar in style and appearance. They produce a digestive enzyme known for breaking down their prey, including bugs. Protocarnivorous Bromeliads are a common house-plant that many people may have heard of by now. Their leaves come together in a central basin-like structure that is capable of holding water. Insects drown in said liquid, and the plant then consumes them. 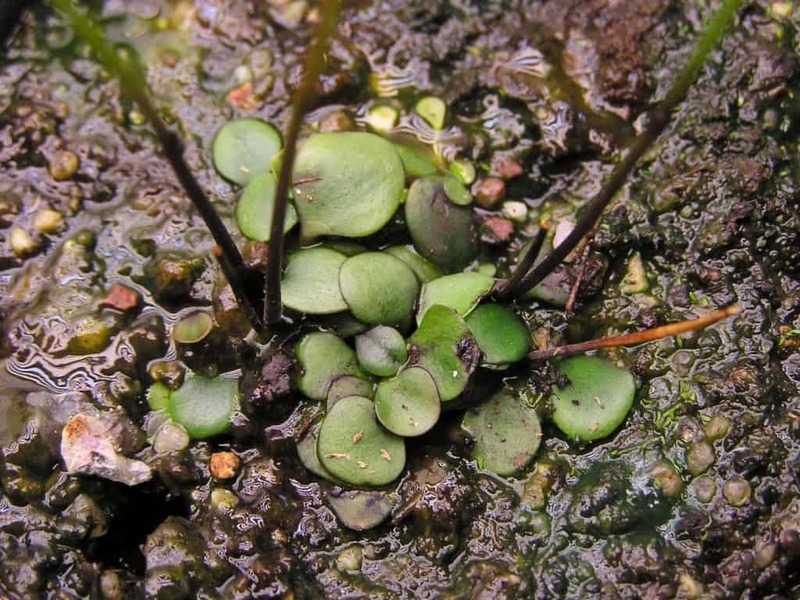 Genlisea, which is sometimes called the corkscrew plant, is actually made of 21 different species, and they grow exponentially when it becomes wet. The plant tends to attract and trap different types of bugs, which are then dissolved and consumed while still alive. 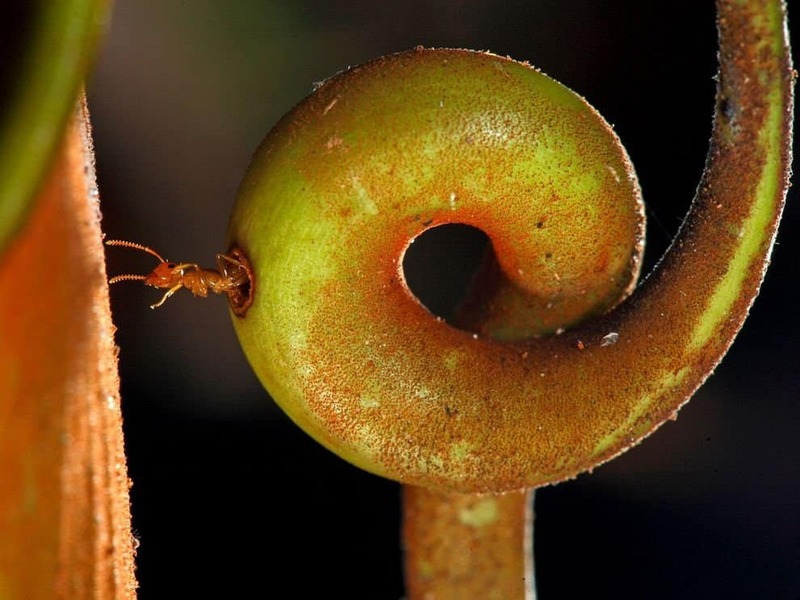 The Ant Pitcher, which is another type of pitcher plant, will lure unsuspecting insects into their funnel-like structure to consume them. These “fanged” species work alongside a special type of ant that can submerge itself inside of the water of the flower. 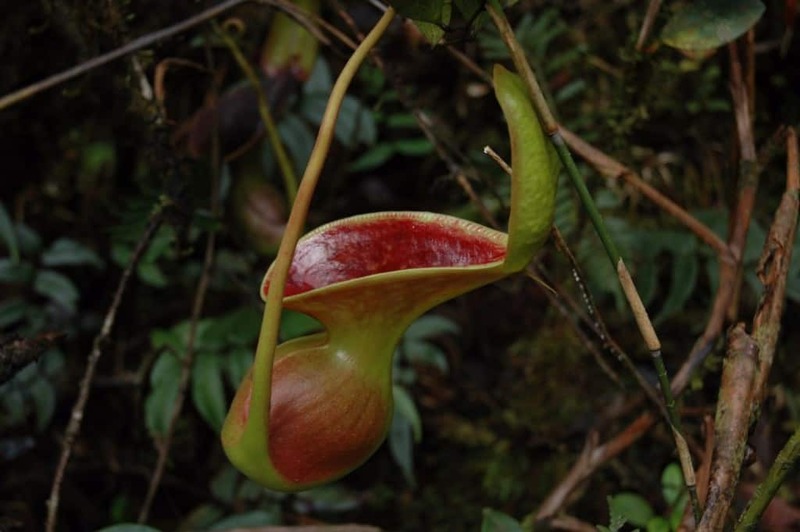 Nepenthes lowii, otherwise known as the toilet plant, is a pitcher that looks a tad like a toilet in some ways. They are fully capable of trapping and digesting insect prey while still alive. These plants have become abundant recently. The Bat House Pitcher has begun to feast mostly on animal feces, which is a tad strange. 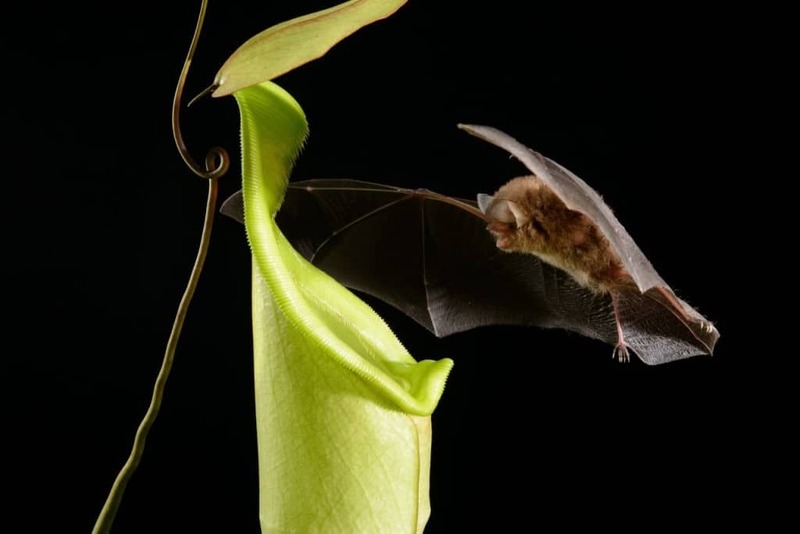 These plants look a bit like sleeping bags, and have become the perfect roosting spot for various types of bats, which also feast on insects. Nepenthes ampullaria, or Nepenthes, may have a rather boring name, but these feisty plants use their traps to prey on insects and other pesky critters that come too close. Mosquito larvae help break down any insect remains inside. 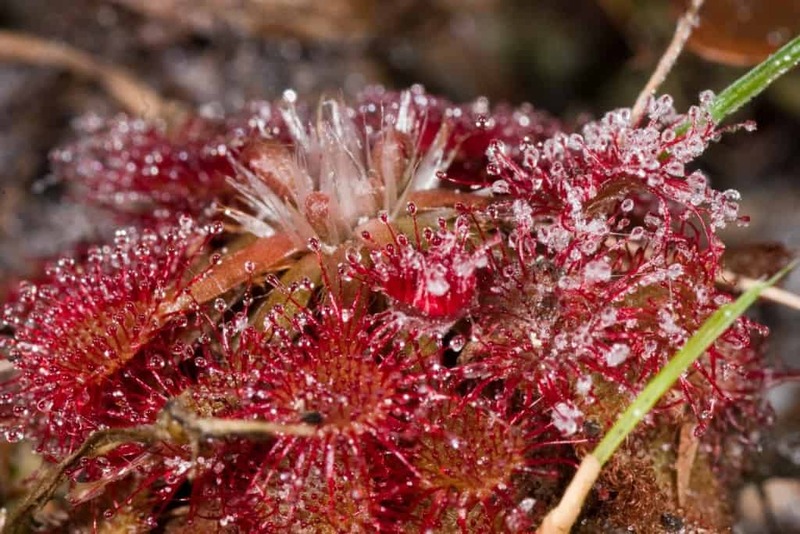 Snapping Sundews have a wild appearance, and are actually dangerous, easygoing killers. They let out droplets of a glue-like substance to capture their prey before curling around the bug in almost slow-motion. Fungi are some type of weird combination of both plants and animals that have melded together to form a predatory being. Many types of fungi are carnivorous on a microscopic level, as they have tiny noose-like hoops that, when a small worm passes through, grab hold of the worm and then it is slowly digested. The Roridula is probably the biggest carnivorous plant in the entire world. They can sometimes span six feet in length and height, and are covered in glue-tipped tendrils that capture unsuspecting bugs that land on them.